I had been searching for a liquid makeup base with pink opalescent hues for some time. I used up something called "Super Makeup Supporter" from Mule Cosmetics (by Jung Saem Mool, who is a famous Korean celebrity makeup artist), which still remains the best luminizing makeup base in my book. I would have gladly bought another one but I couldn't find it even on eBay because the brand seemed to offer seasonal sets only. After some research, my choice boiled down to two other options - Giorgio Armani Fluid Sheer in 07 and Rouge Bunny Rouge Sea Of Tranquility as both have cool-toned iridescent shimmer and come in a glass container with a pump dispenser. I decided to get the Fluid Sheer mainly enabled by the recent sale, but I also figured Sea Of Tranquility looked much more metallic and cooler after reading this comparison post. 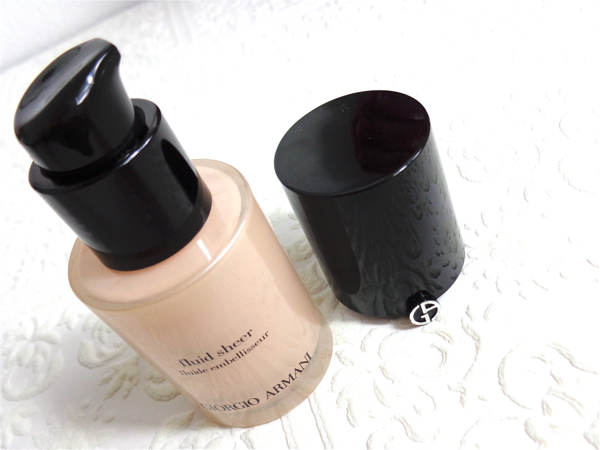 I took this product information from Giorgio Armani Beauty USA site. Fluid sheer dresses skin in an illuminating veil of radiance. This unique, translucent formula is available in a range of versatile hues including makeup base shades, correcting shades, and radiance boosting shades. Blend your favorite fluid sheer with foundation to add radiance, polish and sculpting definition to your complexion. Or use it alone as a makeup base. All skin types. Apply with the blender brush to wear alone or mixed with foundation for a boost of radiance and color. Use on top of foundation for added highlighting and contouring. The packaging is a typical "Giorgio Armani Chic". It is categorized in "highlighter", but it is a multi-functioning product that can be used as makeup base, highlighter and even blush depends on the color choice. No. 07 would be more versatile shade along the No. 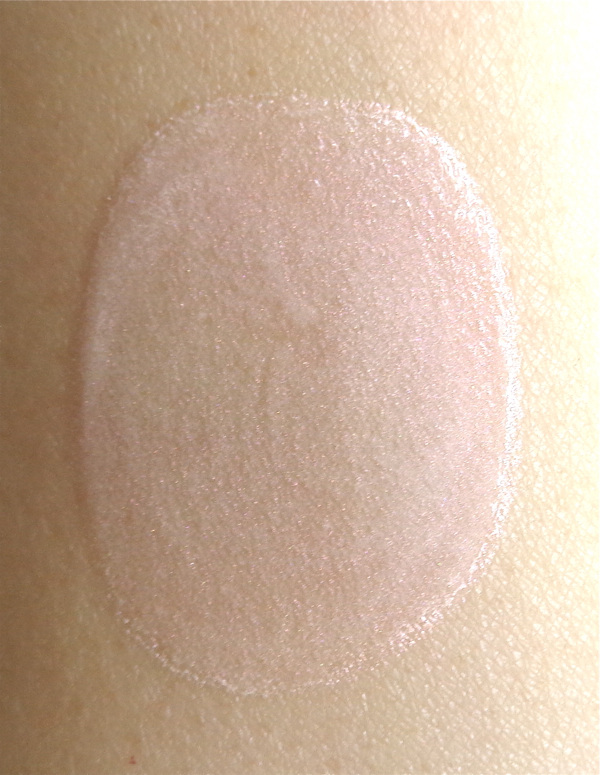 02 (a warmer shimmery beige) as both can be easily mixed with foundation without changing the foundation color too much. It comes with a pump dispenser that is very standard. I personally would have preferred an airtight one with smaller tip. I usually need two pumps to cover the whole face and one pump to mix it with my foundation. No. 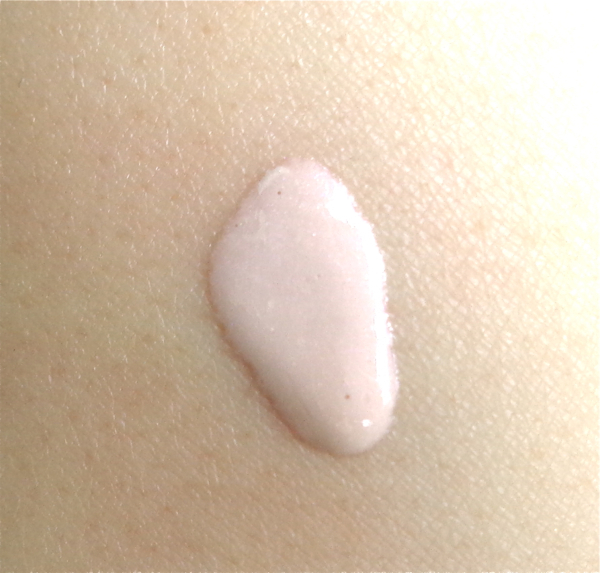 07 is a very pretty pale milky pink with subtle shimmer. The shimmer is fine yet with presence that is enough to brighten up the whole complexion. Whether I apply it all over before foundation or mix equal part with it for a sheer glowing finish, it never looks too much. After blended in - How pretty is this? I have tried it as highlighter on top of my cheekbones using finger tips , and I must tell you it is one of the prettiest. However, to be honest with you, I wore it like that just once just because I'm not a big fan of finger application methods in general. It also has a lot to do with that I have many powder forms of highlighter which brings the similar effects. 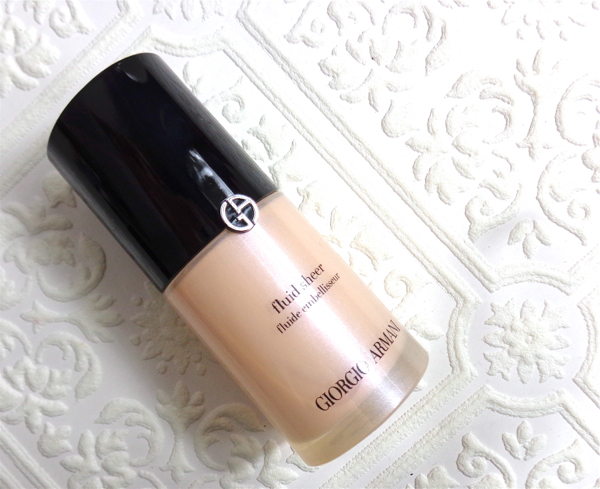 My favorite way of wearing Giorgio Armani Fluid Sheer 07 would be still wearing it alone under foundation. It doesn't really boast prolonging the makeup wear, but I do experience my makeup stays on more even and longer with the aid of Fluid Sheer. It makes sense since Dimethicone is pretty much on top of the ingredient list. The overall quality is excellent as some of the Giorgio Armani makeup I have experienced, and the (sale) price is acceptable for a daily makeup essential like this. I wish it was more hydrating like the Mule Cosmetics Super Makeup Supporter (this was deeply hydrating yet long lasting! ), but it does not particularly dry out my skin, either. 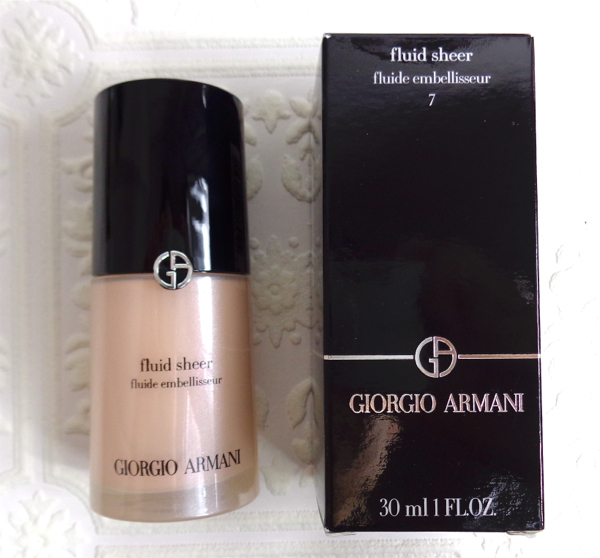 Have you tried Giorgio Armani Fluid Sheer? Do you usually wear makeup base to boost up the foundation finish? I will have to try this. Right now I using two bb creams and blending them. Very late to see this comment. Sorry! Hello, thanks much for this review. I have the most pale skin, and this looks amazing to lighten some of my favorite (not pale enough) foundations or maybe wear lightly alone to gently hide any type of skin irritation. Plus, I love a little sparkle. I really appreciate your review and close up swatches!! Now I must have, hah.